Panathinaikos Athens never trailed but nonetheless needed a big last-minute shot to pull out a dramatic 66-69 road win over Pinar Karsiyaka Izmir on Friday. The victory lifted the Greens' record to 3-4, good for a share of the third place in Group C with Zalgiris Kaunas. 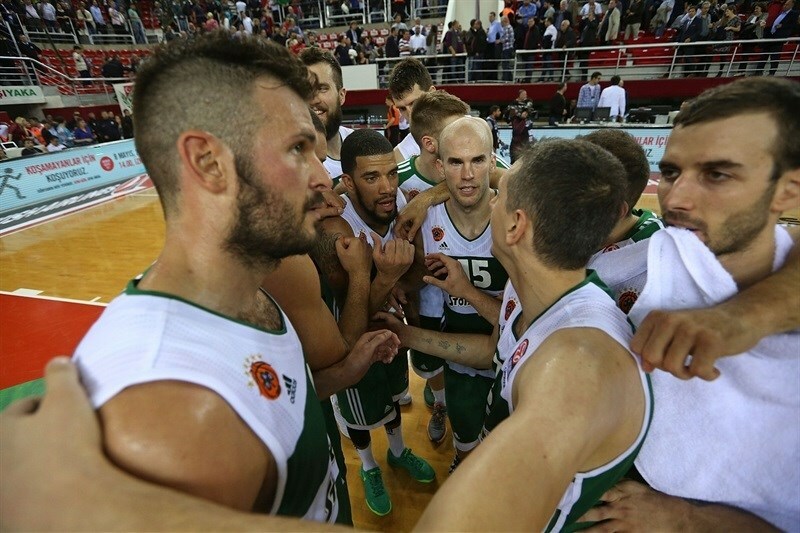 Of equal importance, Panathinaikos has now swept its two games with Karsiyaka, its nearest pursuer at 2-5 in fifth place. Panathinaikos needed little time to build a double-digit lead after tipoff, and as defenses dominated in the first three quarters, Karsiyaka never came closer than 6 points in the game's first 33 minutes. But that's when Can Altintig and Muhammed Baygul rallied Karsiyaka, which tied the game 66-66 in the next-to-last minute. However, Nick Calathes hit a game-winning three-pointer and James Gist came up with a clutch block with 20 seconds to go as the Greens secured their first road victory of the regular season. 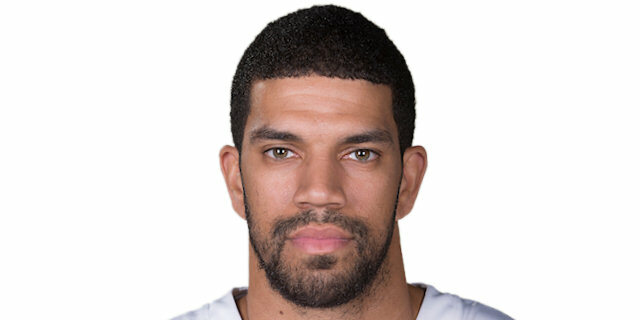 James Feldeine netted 17 points and pulled down 7 rebounds to pace Panathinaikos. Gist collected 14 points, 6 rebounds and 4 assists, Miroslav Raduljica scored 11, and Calathes finished with 10 points in victory. Colton Iverson led Karsiyaka with 14 points. Altintig scored 12, while Justin Carter had 11 points and 7 rebounds in the losing effort. Calathes opened the scoring with an easy layup, and Gist followed, making a short fadeaway jumper and adding a layup after a fastbreak. Gist then fed Calathes, who was alone under the rim, to make it 0-8. The visitors controlled defensive boards in the early going and kept Karsiyaka scoreless for more than 3 minutes before Juan Palacios knocked down a triple. But Gist nailed a three-pointer of his own and Ognjen Kuzmic added a layup to make it 3-13. Kerem Gonlum had a tip-in for the hosts, but Feldeine bettered it with a triple, extending the difference to 5-16. Iverson scored from close range before Gist made a pair of free throws and Vladimir Jankovic nailed a baseline jumper at 7-20. Kenan Sipahi answered with a jumper for Karsiyaka, but the visitors had control of the scoreboard, 9-21 after 10 minutes. 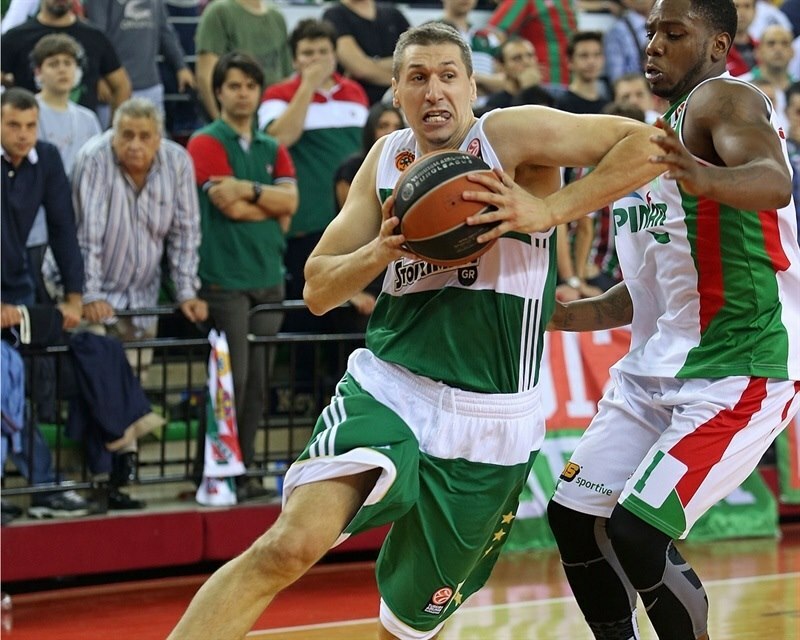 Dimitris Diamantidis dished to Antonis Fotsis for a layup and a 14-point margin to start the second quarter. 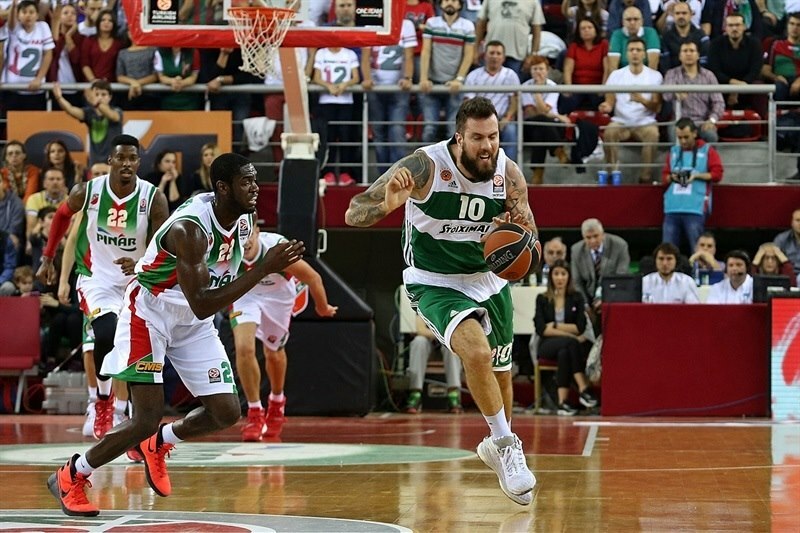 Altintig scored a fastbreak layup and Iverson made a dunk to revive Karsiyaka. After that, baskets were few and far between as Carter and Altintig combined to go 3 of 6 from the free throw line to cut the deficit to single digits, 16-24. The hosts kept Panathinaikos without a single point for 6 minutes until Feldeine buried one from way downtown, forcing a Karsiyaka timeout with 3 minutes to go in the half. After a timeout, Raduljica went through the lane for a dunk at 16-29. Kenny Gabriel made a pair of free throws for the hosts, and after Raduljica knocked down a jumper, Palacios banked in a contested runner to make it 20-31. That ended Karsiyaka’s drought of almost 6 minutes without a field goal. Gabriel added a two-handed dunk to the hosts’ tally, but Fotsis beat the shot-clock with a long triple that gave the Greens a 23-36 halftime lead. Not much changed early in the third, as defenses kept holding their own until Iverson scored a second-chance basket after 2 minutes of play. Altintig added a basket in transition to make 27-37. After Raduljica scored a basket for the visitors, Carter bettered it with a three-pointer at 30-39. Raduljica restored his team's double-digit margin with 2 free throws, but Sipahi assisted both Iverson and Carter to get Karsiyaka within 34-41. Jankovic ended the hosts' 11-4 spurt with a triple and Gist put back another three-point attempt by Jankovic with a monster dunk as Panathinaikos went up 35-46. 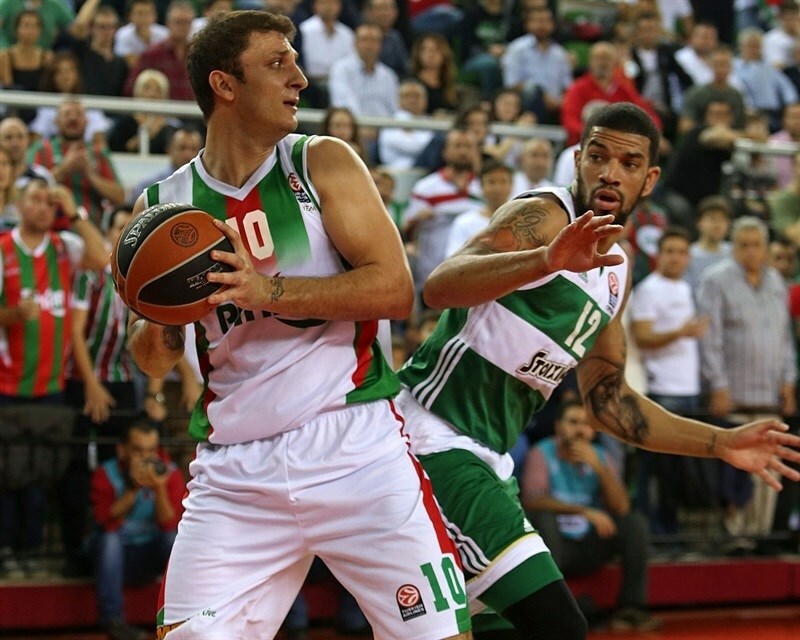 Baygul and Sipahi responded with three-point strikes for Karsiyaka. However, Fotsis answered, beating the buzzer by banking in a three-pointer to make it 41-50 at the end of the third quarter. Gonlum opened the fourth with a three-point play, exciting the crowd and cutting deficit to 6 points again. 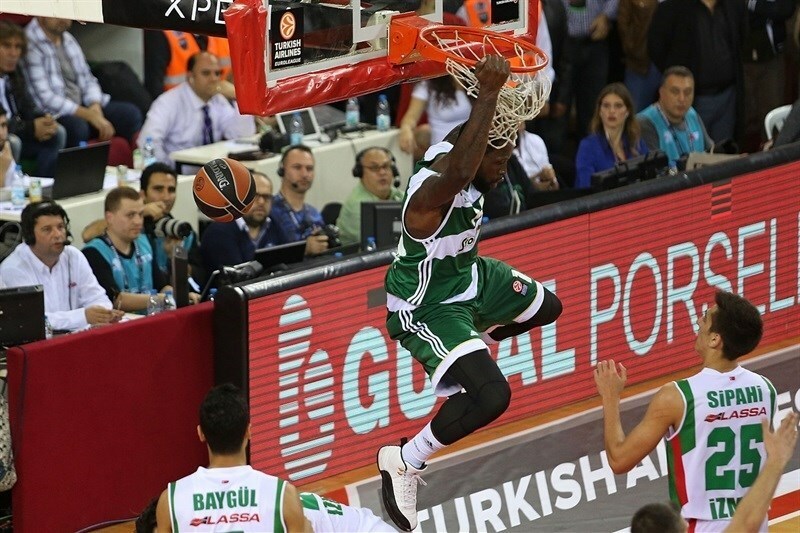 However, Panathinaikos remained focused on defense, and Feldeine’s second-chance floater pushed the margin back to 44-53. After a Karsiyaka timeout, Iverson scored a tip-in then used a no-look pass from Altintig for a big dunk to get the hosts within 48-53. Calathes and Baygul traded three-pointers, and after Raduljica split foul shots, Altintig and Baygul drove for layups on back-to-back possessions to make it 55-57. Gist nailed a triple, but Altintig replied with a three-pointer right away. A triple from Feldeine made it 59-64, but Iverson scored a layup and Justin Carter tied it at 64-64 from long range with 1:52 to go. After a Panathinaikos timeout, both teams failed to score on their next possession, and entered the final 60 seconds tied. But Calathes nailed a wide-open three with 40 seconds to go to put the Greens up 64-67 and then Gist denied Baygul on a layup attempt 20 seconds later. Feldeine made 2 free throws, and after Altintig scored a layup, the visitors ran out the final 6 seconds off the clock and celebrated a big win. 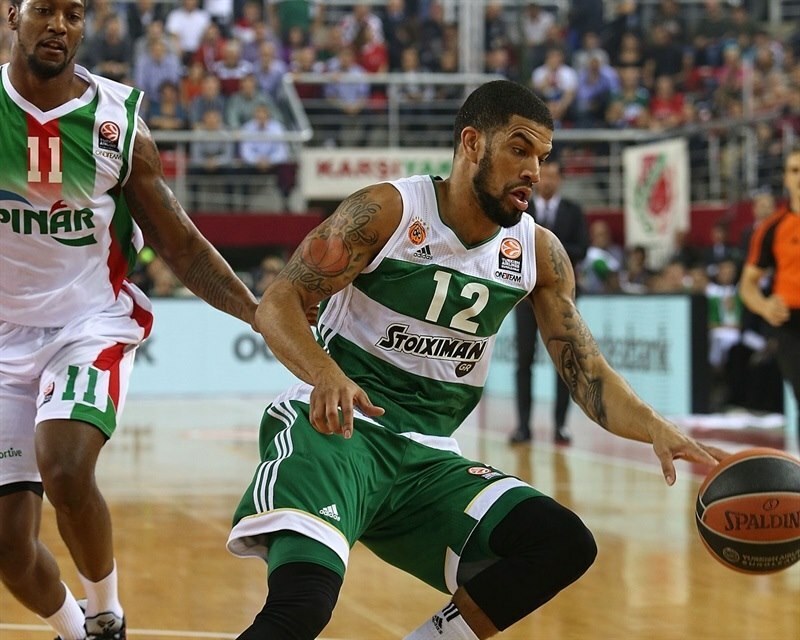 "We really wanted to win this game, which was very important for the rest of the Euroleague. I can’t say much about how we lost the game. The game was pretty weird. You can’t defeat Panathinaikos if you make such ridiculous mistakes. In spite of these ridiculous mistakes we got the chance to win. Seven or eight players fought very well, but it’s not enough. We should admit that we have the problem of lack of experience. Our shooting percentage was very low. Our rival had three times as many three-pointers during the game, which is very critical in such a game. Playing on this level against Barcelona, Kuban and Panathinaikos is very important. We always play to win. We are going to do our best in the next three games." "It is a satisfying victory. We really came with character. From the beginning, we had this game in our hands. We planned it well. Guys picked up everything we agreed on and it is satisfactory for a coach to get a win like this. Every next game is the most important game." "It was a tough atmosphere, a lot of people, but we needed this win because we had not won on the road in the Euroleague yet. We wanted to make sure we brought it on defense today. First half, we tried to make too many nice passes. We were winning by a few points and got a little too comfortable. Second half, they tried to press, and it worked for them. But some people made some big shots and we made some big defensive stops. Nick Calathes made a big shot, we give him all the confidence in the world to shoot it, and we are happy he made it. We have two big home games now, so we have to focus on that, and hopefully we get wins. But this is our first big road win and I think it will boost our confidence."